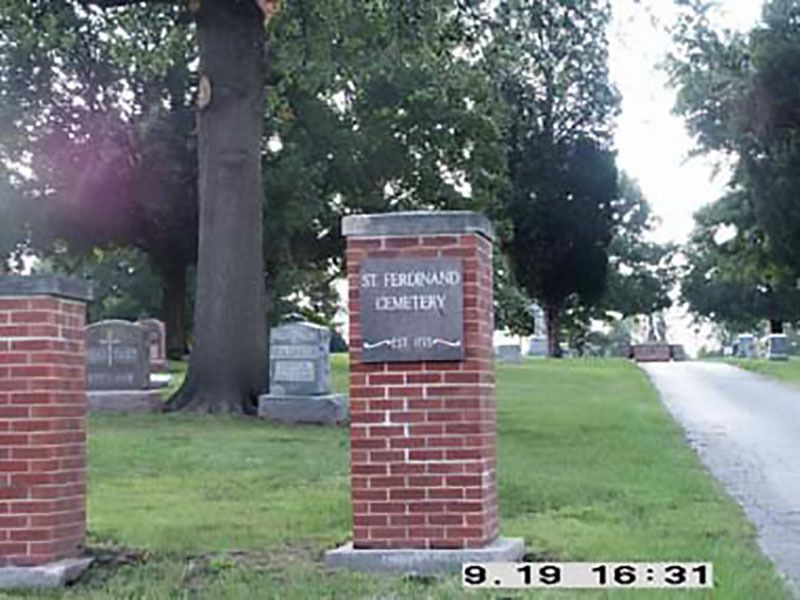 St. Ferdinand Cemetery is owned by the Archdiocese of St. Louis. 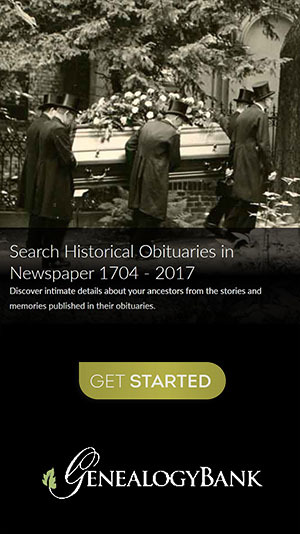 St. Ferdinand Cemetery dates back to 1763 when Jesuit missionaries established a mission and burial ground nearby the present-day St. Ferdinand's Catholic Church on Charbonier Rd. In 1821, the present-day Catholic Church was completed. A new cemetery was laid next to the church. By 1874, however, the cemetery became full. The Parish Council acquired 35 acres on Coldwater Creek, a mile south of the village, where they laid out New St. Ferdinand's Cemetery. In 1876 the old cemetery was closed to burials and removals to the new cemetery began. For many years there was no public road to the new cemetery. Funerals came down Graham Road where they crossed a farm to enter the cemetery. In 1900 a 33-foot strip was deeded to the Archdiocese, the access road named Christian Brothers Lane, later Father Manion Street, and now known as Manion Park Road. Cemetery management was transferred from the parish to the Catholic Cemeteries of the Archdiocese of St. Louis on September 1, 1958. The cemetery is active today, offering a new columbarium for cremated remains, as well as monument lots and lawn level marker lots. In 2002, remains from Bridgeton Memorial Park were transferred here when the St. Louis Airport Authority acquired land there. These bodies were interred in section 70. The Archdiocese entered these records into their database with the last name "Doe". These persons were not necessarily Catholic, but because the original Bridgeton Memorial Park had been located next to the old St. Mary's Catholic Church, they were transferred here.